“I want to be a scientist when I grow up.” These were the great words that I heard my 11 year old daughter say after she finished creating a potion out of all of my lotions. These words are not particularly common for girls these days. 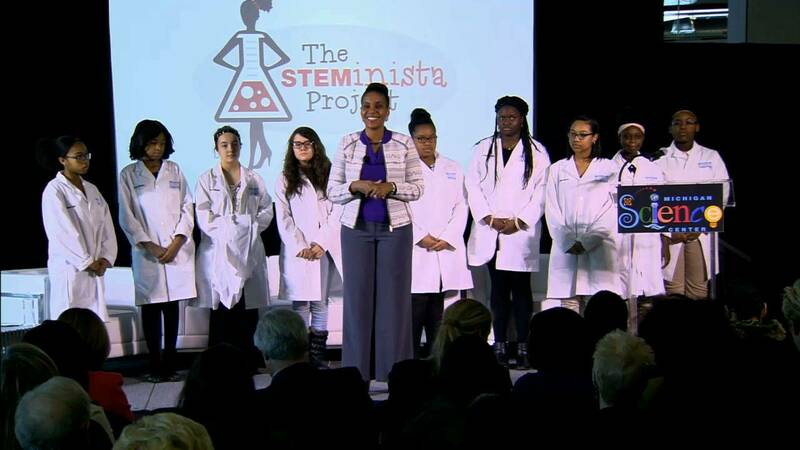 These days the odds of a girl pursuing a career in a STEM career is not very high. So what can we do about this? We can continue to teach our girls (and boys) that they CAN do whatever it is they are interested in. We can continue to teach them to believe in themselves and give them opportunities to strengthen their skills. Many more initiatives are popping up around Detroit and the surrounding areas. If you have a young girl in your life, watch for these opportunities.